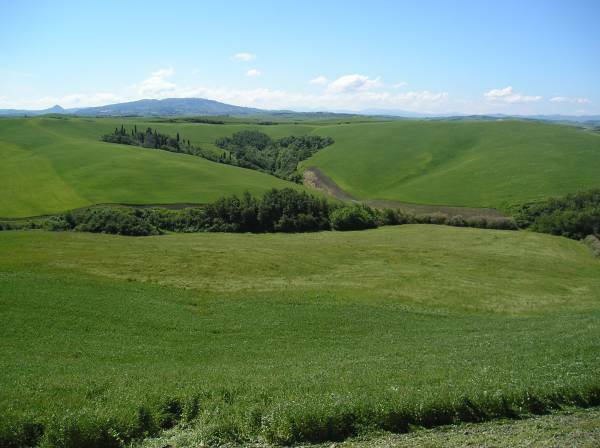 The Pisan Hills (not to be confused with Mount Pisano) is a historical and geographical region nestling southeast of Pisa and north of Volterra. Crossed by the rivers Arno, Era and Zannone, this rather large area in ancient times was also crossed by the Roman roads Via Aurelia, Via Cassia and Via Clodia. Both the waterways and the highways were fundamental for the development of this part of Tuscany as well as essential for vine-growing. The wine trail crosses many towns and obviously vineyards on its quest for a network of Sangiovese-based Chianti wine on these Pisan Hills. Capital of the region between 1406 and 1848 was the beautiful hilltop town of Lari. 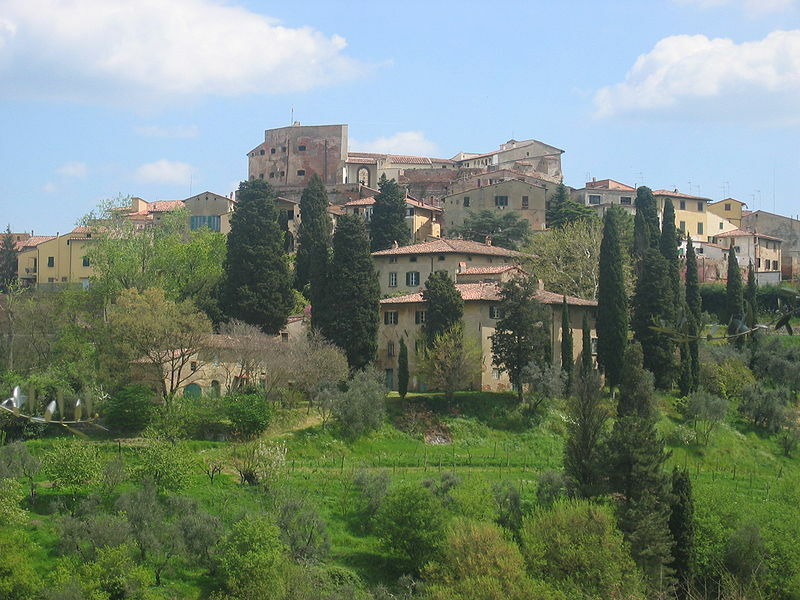 This tiny Etruscan town since the age of Lombards was fought for by Lucca, Pisa and Florence. Today Lari preserves the imposing structures of its Renaissance fortress, once the residence of the Vicars of Florence. Here visitors can admire Etruscan, Roman and Renaissance findings, Medieval and Renaissance frescoes, the glazed terracottas of the Della Robbia family as well as the prisons, the torture room and the dungeons known as ‘hell’. 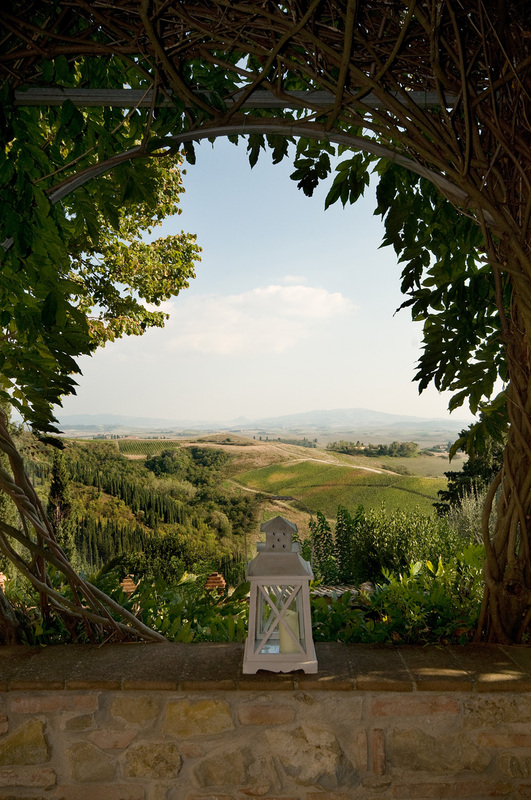 At the extremities of the wine road there is Chianni, in the southwest, surrounded by vast chestnut woods, vineyards and olive groves and San Miniato, in the north-eastern corner. 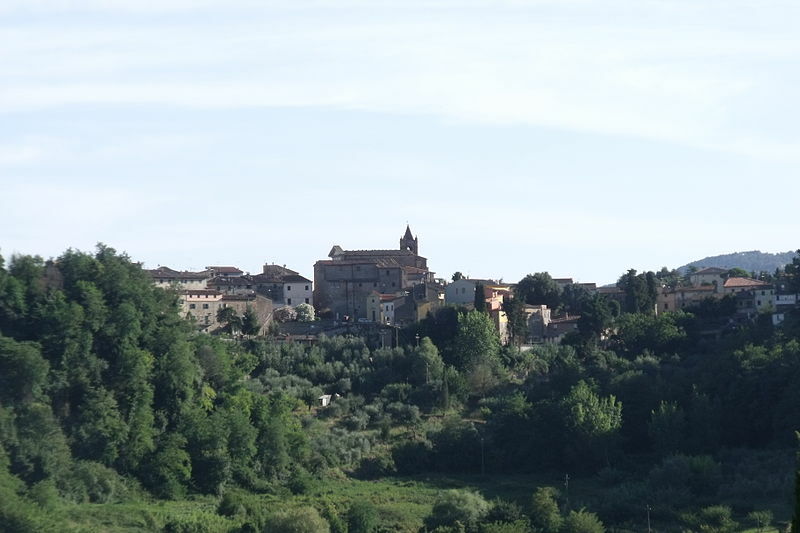 Strategically positioned on a hill dominating the river Arno, San Miniato is also on the medieval via Francigena, the main route connecting northern Europe to Rome, as well as at the intersection between the roads Florence-Pisa and Lucca-Siena. For this reason over the centuries the town was constantly exposed to a flow of people, both friendly and hostile, be they travellers, traders or armies. 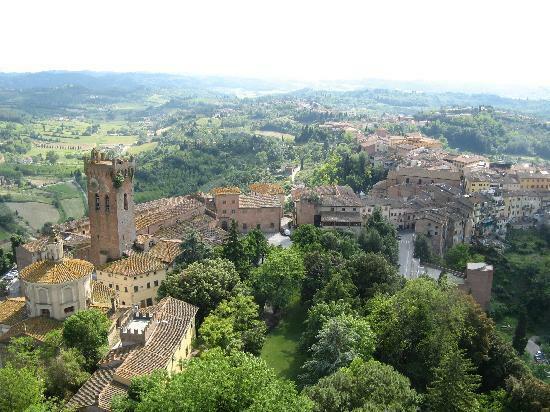 San Miniato has many sights to offer along with the Cathedral, the Tower of Frederick and the castle. Today the town is above all renowned for its production of leather goods and its precious white truffles. North of Chianni is the spa village of Casciana Terme. Known since the year 800 for its thermal water, and going by the name of Castrum ad Aquis, in 1100 the Countess Matilda of Canossa, understanding the beneficial virtues of the waters, decided to restore the baths. Neighbouring Terricciola, instead, is an ancient village of Etruscan origin, as documented by the discovery of settlements in the surroundings with Hellenistic necropolis and underground tomb rooms. Originally studded with towers, today Terricciola, like most Tuscan towns, has its fair share of lovely churches and historic villas. Every year on the second and third weekend of September, the town holds the Traditional Grape and Wine Festival, the oldest of the whole province. 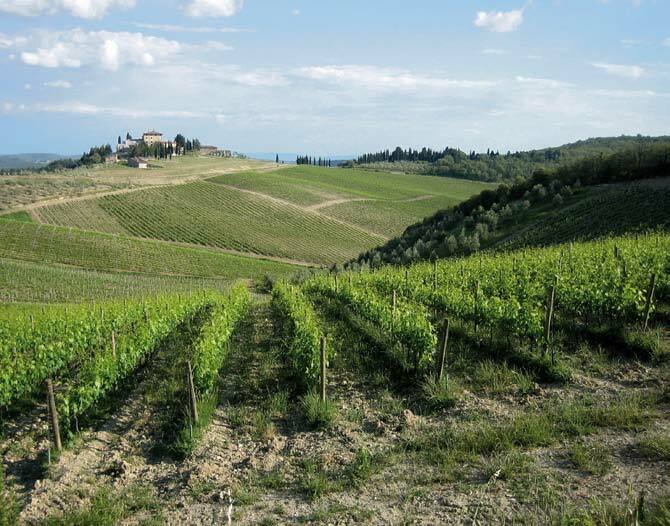 Obviously the wines are those of the Pisan Hills Wine Trail made with the typical grape varieties of the area: Sangiovese, Trebbiano, Malvasia, Ciliegiolo and Merlot. Along the wine route is Peccioli. Built around the ruins of a medieval castle, the village is surrounded by vineyards, olive groves and green gently rolling hills. In the heart of Peccioli are located the 11th century church dedicated to St. Verano, the medieval Praetorian Palace with the typical coats of arms on the façade and the red brick church of the Madonna del Carmine. The town has been awarded the Orange Flag, which is the trademark of the Italian Touring Club (TCI) association, for those villages in Italy that stand out for the high quality of their hospitality as well as the excellence in touristic services. Just outside lies the tiny hamlet of Fabbrica di Peccioli, built as a castle town outpost for Pisa. Here one can admire the beautiful 10th century Romanesque church of Santa Maria Assunta. 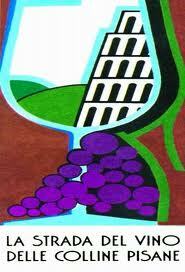 Many more are the towns that dot the Wine Trail of the Pisan Hills, surrounded by their medieval hamlets and castles. Nature trails cross vineyards, olive groves and old-age woods. The variety of the landscape, the selection of historical villages, the advantageous central position, as well as the many activities this area offers make this region one of tourists’ favourites. Questa voce è stata pubblicata in Accommodations in Tuscany, Culture and accommodations in Tuscany, Tuscan food and wine, Tuscan lifestyle, Villas in Tuscany e contrassegnata con accommodation in Tuscany, Chianti wine, Tuscan food and wine, Tuscany. Contrassegna il permalink.